In the event that another person in the United States tests positive for Ebola, they could be re-routed to one of a handful of hospitals that are specifically equipped and trained to deal with deadly viruses like Ebola, confirmed Centers for Disease Control and Prevention director Dr. Tom Frieden during a press conference on Oct. 20. So far during this outbreak, only four hospitals across the United States have experience treating Ebola patients: Nebraska Medicine, Emory University Hospital, the National Institutes of Health Clinical Center and Texas Health Presbyterian Hospital Dallas. In addition to announcing the hospital plan, Frieden also confirmed significant changes to safety protocol for U.S. health workers who are caring for Ebola patients. The changes were reached by consensus among “all people in the U.S. with experience with Ebola,” as well as Doctors Without Borders (MSF). The changes include: rigorous and repeated training of the donning and doffing of personal protective equipment (PPE), to the point that the steps become “ritualized,” no skin exposure when PPE is worn, and a trained hospital staff monitor that oversees health workers putting on and removing PPE. The CDC also now recommends that health workers wear a respirator — either an N95 respirator or powered air purifying respirator (PAPR) — while with the patient in his or her isolation unit. This doesn’t mean that the virus is airborne, Frieden explained, but that procedures that are undertaken in the U.S., like intubation or suctioning — procedures that require close contact with the nose and mouth of patients — may pose a higher risk to health workers than the supportive care measures conducted in West Africa. The CDC has faced increased scrutiny and criticism over their recommended safety protocols after Texas Health nurses Nina Pham and Amber Joy Vinson contracted Ebola from Thomas Eric Duncan, the first person to be diagnosed with the virus in the U.S. Pham was later transferred to NIH Clinical Center for Ebola treatment, while Vinson was transferred to Emory University Hospital. These changes are in a response to Pham and Vinson’s positive diagnoses, said Frieden. After emerging months ago in eastern Sierra Leone, Ebola is now hitting the western edges of the country where the capital is located with dozens of people falling sick each day, the government said Tuesday. So many people are dying that removing bodies is reportedly a problem. Forty-nine confirmed cases of Ebola emerged in just one day, Monday, in two Ebola zones in and around the capital, the National Ebola Response Center, or NERC, said. Lawmaker Claude Kamanda who represents a western area said more than 20 deaths are being reported daily. Kamanda told the local Politico newspaper that authorities are experiencing challenges collecting corpses from both quarantined and non-quarantined homes. Authorities say the uncontrolled movement of people from the interior to Waterloo which is the gateway to Freetown, the capital, has fueled the increase of Ebola cases in the west. There is a strong feeling that people are violating the quarantines elsewhere and coming to Freetown through Waterloo. There are 851 total confirmed Ebola cases in the two zones, called Western Area Urban and Western Area Rural, the NERC said. In numbers of cases, they may soon surpass a former epicenter of the outbreak in the country, the eastern districts of Kenema and Kailahun where there have been a total of 1,012 confirmed cases. No new cases were reported Monday in Kenema and Kailahun but a World Health Organization spokeswoman said it is too early to declare that the epidemic has burned itself out in the east. A local newspaper suggested Tuesday that authorities quarantine Waterloo. The World Food Program over the weekend delivered emergency food rations to people there. “The growing fear has left the public with no choice but to call on the Government for Waterloo to be quarantined as was done to other places including Kailahun, Kenema, Bombali, Port Loko and Moyamba Districts,” the Exclusive newspaper said. Many residents of the capital note that Ebola has followed the same route across the country as rebels who in 1991 started a savage war in Kailahun district. The war ended in Freetown a decade later where the final battle was fought. Now the enemy is a disease, and the president is putting in place a more military-style response. President Ernest Bai Koroma last week appointed Defense Minister Alfred Palo Conteh as CEO of the National Ebola Response Center, whose headquarters are being placed at the former War Crimes Tribunal for Sierra Leone in the west end of Freetown together with the United Nations Mission for Ebola Emergency Response. The West African nations of Sierra Leone, Liberia and Guinea — where the outbreak first emerged 10 months ago — have been hit hard by Ebola with more than 4,500 deaths, according to WHO estimates. A few cases have also emerged in the United States and Spain. In Guinea on Tuesday, hundreds of residents in the Conakry suburban neighborhood of Kaporo Rail protested the construction of an Ebola treatment center nearby. “We don’t want the hospital here. They want to infect our neighborhood,” said Binta Sow, the spokesman of the group. Kaporo Rail has a thriving market for ice cream and milk that employs hundreds of women and youth. There were worries this could harm the local economy. “No one will buy anything here if they erect the center,” said a local ice cream vendor. On Tuesday the East African nation of Rwanda was singling out travelers from the U.S. and Spain for special screening. A Rwandan Ministry of Health document says all passengers from the U.S. and Spain will have their temperatures taken upon arrival. If the passenger has a fever he or she is denied entry. If there is no fever, the visitors still must report their health condition daily to authorities. “Please note neither the Department of State’s Bureau of Consular Affairs nor the U.S. Embassy have authority over quarantine issues and cannot prevent a U.S. citizen from being quarantined should local health authorities require it,” the embassy said. No Ebola cases have emerged in Rwanda. The pharmaceutical industry has completely taken over the treatment of medical and psychiatric treatment. Everything, and I am mean everything is geared towards getting every American on medication and keeping them on medication for the rest of their lives. There is no more vulnerable population, to this medical tyranny, than our children. There is no greater example of this medical tyranny than the latest craze in unscientific psychiatric diagnostics than the brand new condition now being referred to as “Sluggish Cognitive Tempo” (SLT). I. As a former mental health therapist, I can barely hold back my laughter at this thinly veiled attempt to separate parents from their hard earned money by making them think that the their perfectly normal child is mentally ill. This is a remarkably ridiculous name for an even more ludicrous diagnosis. The main characteristics of SLT are vaguely described but include some combination of daydreaming, lethargy and slow mental processing, you know, like we do when we watch television. The advocates of this diagnosis contend that SCT afflicts about two million children. And that great pharmaceutical whore, Eli Lilly, is waiting in the wings preparing to medicate the developing and highly vulnerable brains of these two million children with the latest in dangerous and mind-destroying psychotropic medications which will leave the user with a brain damaged future and a medical treatment history which will render many of these children with an uninsurable medical insurance future. The Journal of Abnormal Child Psychology has sold its professional soul and its professional ethics to Big Pharma as it is seriously promoting this voodoo form of diagnostics. The latest issue of their publication donates a record 136 pages to the topic of SLT. And where do we find children with SLT? Probably standing next to the adults who have Restless Leg Syndrome. DSM is the Bible of mental illnesses. The book serves a training guide for graduate and the PhD students as well as serving as a professional guide for treatment intervention amongst mental health practitioners. By the time a child is 21 years of age, under DSM -IV guidelines, 80% of all young adults qualify to be diagnosed as mentally ill and, as such, are subject to being medicated. The newest version of DSM has made this problem far worse. Normal temper tantrums have been turned into a diagnosable and pharmacologically treatable illness called ‘Disruptive Mood Dysregulation Disorder”. Normal adolescent rebellion is now being labeled as “Oppositional Defiant Disorder”. Normal childhood restlessness is now diagnosed as “ADHD” in children as early as two years of age. Childhood Autism and childhood Bipolar Disorder are pharmaceutical goldmines and have increased forty fold in the last 20 years. More than 10,000 American toddlers 2 or 3 years old are being medicated for attention deficit hyperactivity disorder outside established pediatric guidelines and professional medical practices, according to data recently presented by the Centers for Disease Control and Prevention. According to the CDC, 11% of the country’s children are diagnosed with ADHD. This is ludicrous and is just not possible. These children have ADHD according to whom? The answer to this question consists of two parts. First, Big Pharma is using its influence to “push” the diagnostic criteria in the direction of many more positive diagnoses. More diagnoses means more profit-making pill pushing. Second, there is no illness, with these kinds of unsustainable rates of diagnosis that could impact the population to this degree. If there really were an 11% rate of autism in this country, we would be forced to change what is considered to be normal behavior since most mental illness models are loosely based upon a bell curve distribution. Therefore, just based on the surface evidence, these diagnostic rates cannot justified. If these medications are dangerous for children, we would not know because very few scientific studies have examined the use of ADHD stimulant medications in young children. A widely referenced 2006 study found that the ADHD medication, methylphenidate, could “somewhat” mitigate ADHD like symptoms in preschoolers. However, the study’s conclusions were based on researched derived from insufficiently sized researched groups. Only about a dozen 3-year-olds were included in the study, and there were no 2-year-olds, yet we continue to medicate these young vulnerable minds. Most researchers on that study, sponsored by the National Institute of Mental Health, have significant financial ties to pharmaceutical companies that made ADHD medications. A multitude of studies indicates that children who are prescribed psychotropic drugs are much more likely to become drug addicts as adults. If you have ever sat in the waiting room of your child’s pediatrician’s office and you have seen well-dressed, attractive young adults enter the office armed with notebooks as they are ushered in to see the doctor ahead of the waiting patients, then there is a very good chance that your doctor is a Big Pharma whore. The well-dressed pill pushers are there to your child’s doctor in order to “make deals” and promise bonuses for prescribing certain drugs. The odds are stacked against your child before they ever their doctor. In combating this medical tyranny, parents are the only line of defense. However, parents must be very careful in how they express their refusal in not allowing their children to be diagnosed with bogus conditions and treated with dangerous drugs. When your doctor offers to put your child on mind-numbing drugs, seek a second opinion. However, be very, very, careful how seek that second opinion as it could cost you custody of your child. There is no system ever devised by mankind that is guaranteed to rip husband and wife or father, mother and child apart so bitterly than our present Family Court System. Just ask Jodi Ferris, Anna Nikolayev, or Justina Pelltier’s parents what happens when a parent dares to question the almighty doctor and seek a second opinion for their child. The doctor and his wounded ego will frequently call CPS and the parent’s problem goes from bad to worse. My advice is simple if you desire to seek a second medical opinion for your child. Do not tell your child’s pediatrician that is your intention. Take the prescription that the doctor writes, just do not fill the prescription. Then schedule a second opinion visit with another doctor. If you get a disconfirming diagnosis, then make immediate arrangements to change doctors. Once your child has a different doctor, the authorities are powerless in seizing your child for medical neglect when the complaining doctor is no longer the physician of record and the second doctor is not making a recommendation to medicate. Thirty million adults, about 40% of the adult population, are on anti-depressants. Twenty million, or about 66% of this group, should not be on anti-depressants. Adults can say no, it is not the same issue when it comes to medicating your child. However, your child doesn’t have that same choice. You, as the parent, must make that choice for them. Studies are showing that Bt toxins found in Monsanto crops are harmful to mammalian blood by damaging red blood cells and more. 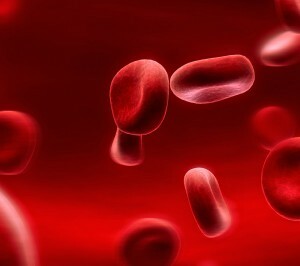 RBC’s are responsible for delivering oxygen to the body tissues through blood flow. Bacillus thuringensis (Bt) is a bacterium commonly used as a biological pesticide. It is a microorganism that produces toxic chemicals. It occurs naturally in the environment, and is usually isolated from soil, insects and plant surfaces. Prior to this study, Bt was thought to be toxic only to insects, but recent studies are proving otherwise. Dr. Mezzomo and his team of Scientists from the Department of Genetics and Morphology and the Institute of Biological Sciences, at University of Brasilia recently published a study that involved Bacillus thuringensis (Bt toxin) and its effects on mammalian blood. According to the study, the “Cry” toxins that are found in Monsanto’s GMO crops like corn and soy, are much more toxic to mammals than previously thought. The study was published in the Journal of Hematology and Thromboembolic Diseases. We do not support animal testing, and think it is unnecessary. 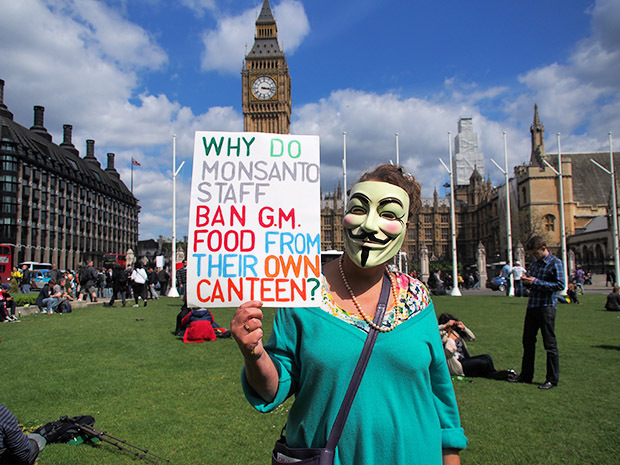 It should really be a no brainer that GMO crops cause significant damage to human health. Studies that don’t require animal testing have already proven the dangers of GMO consumption. This study unfortunately required the use of Swiss Albino Mice if Bt was to be properly examined. At the same time, most of us know that the existence of GMOs is completely unnecessary. Advances in genetic engineering promise the expression of multiple Cry toxins in Bt-plants, known as gene pyramiding. Therefore, studies on non-target species are requirements of international protocols to verify the adverse effects of these toxins, ensuring human and environmental biosafety. Scientists tested levels ranging from 27 mg to 270 mg over a seven day period, it was remarkably evident that the Cry toxins were hemotoxic, even at the lowest doses administered. Hemotoxins destroy red blood cells, disrupt blood clotting and cause organ degeneration and tissue damage. The number of RBC’s, (red blood cells) as well as their size, were significantly reduced, and so were the levels of hemoglobin for oxygen to attach to. Every factor regarding RBC’s indicated some level of damage for all levels of toxin administered and across all cry proteins. The tests clearly demonstrated that Cry proteins resulting from the Bt toxin were cytotoxic (quality of being toxic to cells) to bone marrow cells. Studies contiually show that these proteins kill blood cells bytargeting the cell membranes of RBC’s. Dr. Mezzomo and his team are not the only group of scientists to discover the harmful effects of Bt toxins. Professor Joe Cummins, Professor Emeritus of Genetics at the University of Western Ontario has also studied it. He concluded that that there is sufficient evidence that the Bt toxin will impact directly on human health through damaging the ileum, which is the final section of the small intestine that is responsible for the absorption of vitamin B12. He also points out that the Bt cry toxin gene has not been proven to be the same as the natural bacterial gene. As mentioned in the first paragraph, it occurs naturally in the environment, usually isolated from soil, insects and plant surfaces. It seems that everyday brings forth new information regarding GMO’s. We have so much evidence that points to just how harmful these foods are, yet they continue to be mass produced and the corporations that develop them are constantly protected. The truth still remains, you still have a choice as to what you put into your body. I encourage everybody reading this to further their research, most ‘industries’ we have on the planet today really aren’t necessary, we are just made to believe that they are. Following closely on the heels of the EPA’s decision to allow Roundup herbicide residues in your food at concentrations a million times higher than shown carcinogenic, a concerning new study published in the journal Free Radical Medicine & Biology implicates the herbicide, and its main ingredient glyphosate, in male infertility, at concentration ranges well within the EPA’s “safe level” for food. Performed by Brazilian researchers, the study found acute Roundup exposure at low doses (36ppm, 0.036g/L) for 30 minutes induced cell death in Sertoli cells in prepubertal rat testis. Sertoli cells are known as “mother” or “nurse” cells within the testicles, as they are responsible for maintaining the health of sperm cells, and are required for normal male sexual development. Thirty-minute incubation tests with glyphosate alone (36 ppm) also increased Ca2+ uptake, and both Roundup and glyphosate were observe to downregulate reduced glutathione levels. As glutathione is an antioxidant (electron donor) found within every cell in the human body, protecting it against oxidative stress, as well as maintaining a wide range of biochemical reactions such as DNA and protein synthesis and repair, amino acid transport, prostaglandin synthesis, amino acid and enzyme activation, a dysregulation of glutathione can result in a wide range of adverse effects. A 2011 study published in the journal Toxicology In Vitro found a glyphosate-based herbicide induced necrosis and apoptosis in mature rat testicular cells in vitro, and testosterone decrease at lower levels. In the study, Roundup and glyphosate at concentrations as low as 1 part per million produced a testosterone decrease in sperm cells by 35%. Given the growing body of research clearly revealing Roundup’s toxicity to the germline of animal species, the argument can be made that this chemical has contraceptive properties and therefore genocidal consequences. By directly affecting the biologically immortal cells within the testes, whose DNA contains over 3 billion years worth of information essential for there being a future for our species as a whole, Roundup should be considered an instrument of mass destruction. At the very least, the precautionary principle should be applied, and any chemical that signals the potential to disrupt or destroy our species’ germline cells, should be banned unless the manufacturer can prove beyond a reasonable doubt its safety to exposed populations.